New Economy Business shows how business, sustainability and innovation can be brought together to create real, shared value. You will explore seven management areas and read numerous cases from around the globe demonstrating how current transformative trends interact with sustainable business to evolve into tomorrow's economy. New Economy Business delivers the knowledge and insights needed to do business in an entirely new way, with greater innovative power and broader impact than ever before. 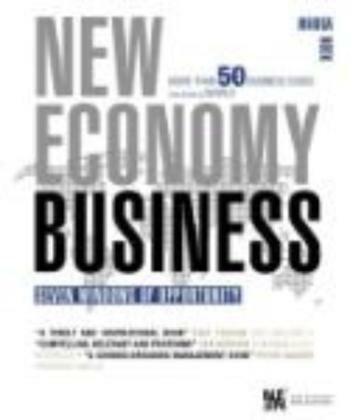 New Economy Business was first published in the Netherlands where it was a highly appreciated best seller and is being used as a guiding resource in a broad range of businesses as well as educational institutions. The book was awarded the prestigious title of Management Book of the Year 2014 for its ground-breaking look at the future of our economy and tomorrow's business. The jury report stated, This book preceeds reality. It is both theoretical and practical at the same time and challenges a broad readership to forge new pathways. About the author: Marga Hoek is a visionary and leader in the movement towards a new economy. As CEO, Executive Director, and Advisor in national and international organizations, she has successfully connected educational, governmental and scientific institutions with the business world in order to drive the emergence of a sustainable economy.